Since Harsha was a young girl, she was drawn to cosmetology. She enjoyed getting her hair, nails, and eyebrows done and loved how happy and confident she felt afterwards. Harsha wanted to be able to create those same feelings for others. But first, she was determined to get an education from a four-year University. 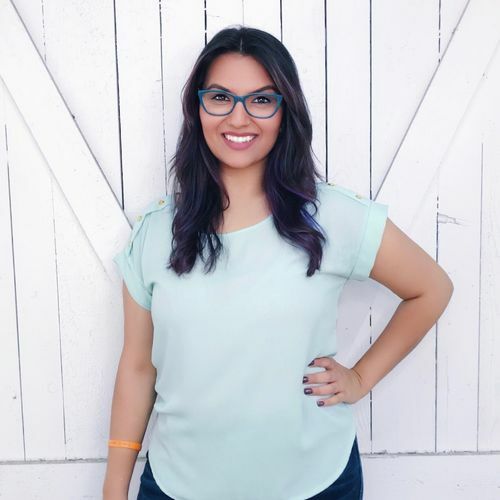 After receiving her bachelor’s degree in Marketing at Oregon State University, Harsha traveled to India where she took a makeup course and also learned the art of eyebrow threading and henna tattoo design. Harsha then followed through with cosmetology at the Aveda Institute of Portland, graduating in 2015. She later received her James Ryder Makeup Lab certification as well. Over the course of her career, Harsha has deepened her understanding of color theory and the science behind hair coloring. Harsha is a member of Urban Betty’s Success Team where she assists with color ordering for the entire salon. Harsha especially enjoys hair coloring and makeup application as it allows her to express her creativity. She is also exceptional at finishing a look due to her strong blow dry skills, which is attributed to her past experience working at a blow dry bar. Outside the salon, Harsha continues to express her creativity through the art of Bollywood dancing, singing, and crocheting. She spends the remainder of her free time hiking, watching stand-up comedy, and exploring new restaurants with friends. Harsha lives in the urban neighborhood of East Austin with her cat, Sir Peanut Butterson, and is looking forward to her husband relocating to Austin later this year.